"Buddy is a rescued puppy of mixed breed owned by an acquaintance of mine and happened to be in attendance at a child’s birthday party that I was hired to photograph. 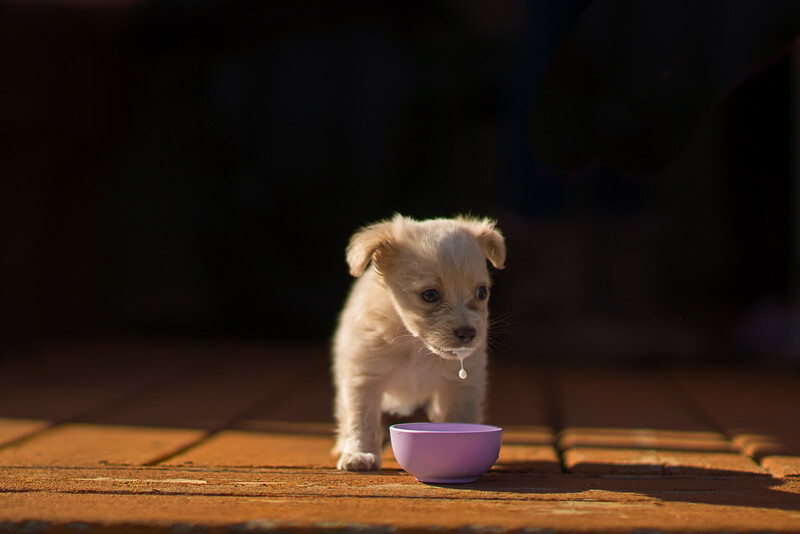 The puppy captured the hearts of all the children at the party and although I took many photos of Buddy that day I couldn’t resist taking a few of him adorably lapping up his milk. He quietly found his bed and took a nice nap after his lunch." Title of image: "The world awaits"
“After looking through some of my older work I came across this photo and felt there was something magical about it. The picture has an evocative feel of a little puppy sat waiting for her owners to come home. It epitomises John Grogan’s saying ‘dogs have such short lives, and they spend most of it waiting for their owners.’ The pup in the photo is my friend’s dog, Holly. She was just weeks old at the time and had yet to go out and explore the world (in this photo it’s almost like she is pensively contemplating what could be out there) I offered to do a shoot for my friends to capture her adorable puppy. 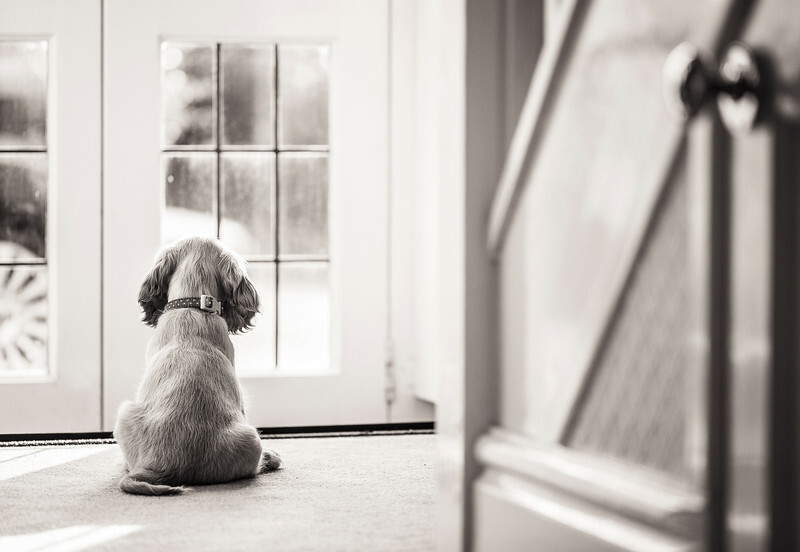 Although Holly’s dad works from home, her mum works at a local college during the week, and when it’s time for her to come home Holly sits herself in front of the glass door, peering out at the world, waiting hopefully for her return. Holly still does this to date, although she’s a little bigger now!" 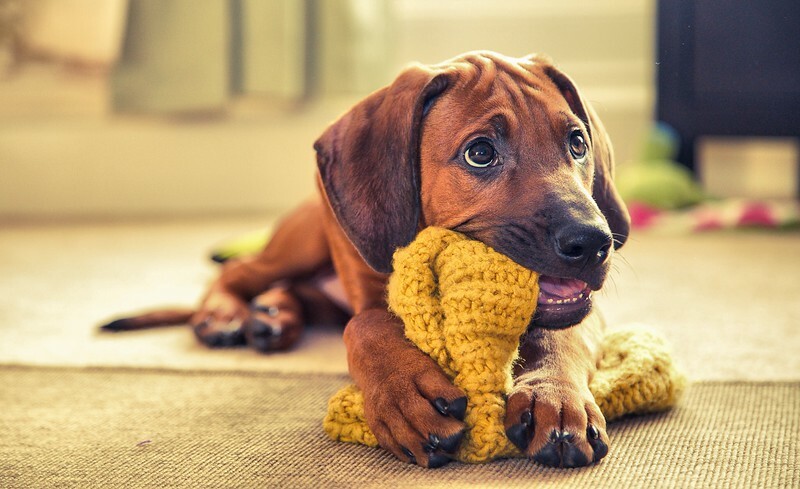 Monika fell in love with dog photography in 2001 when she met an 8 week old Hungarian Vizsla puppy named Rea. Monica and Rea were the best of friends and everywhere they went a camera was always close by. Sadly in 2014 her dog Rea passed away. Monika's new puppy Skye-Rea possesses many of her former dog, Rea's characteristics, including chewing on hats after a big play with her brother Kal.